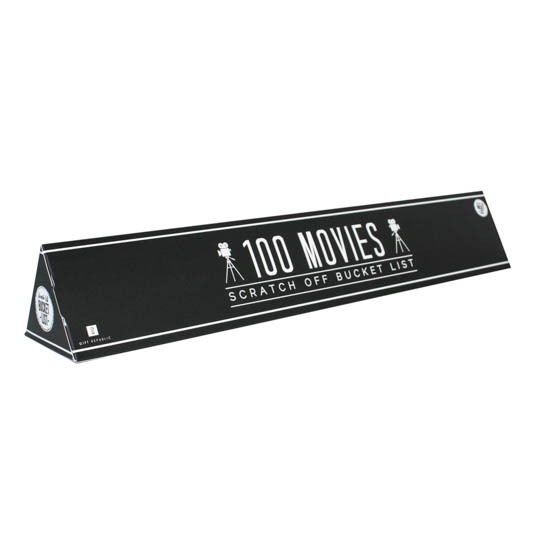 100 Movies Scratch bucket list of all must see movie classics of all times, new and old. 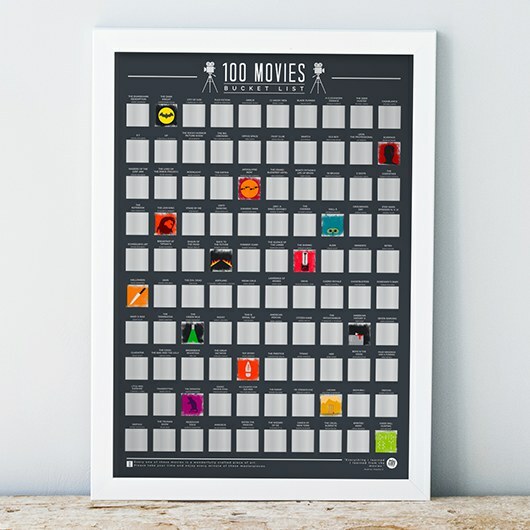 This poster compiles 100 of, arguably, the best films ever made from around the world. 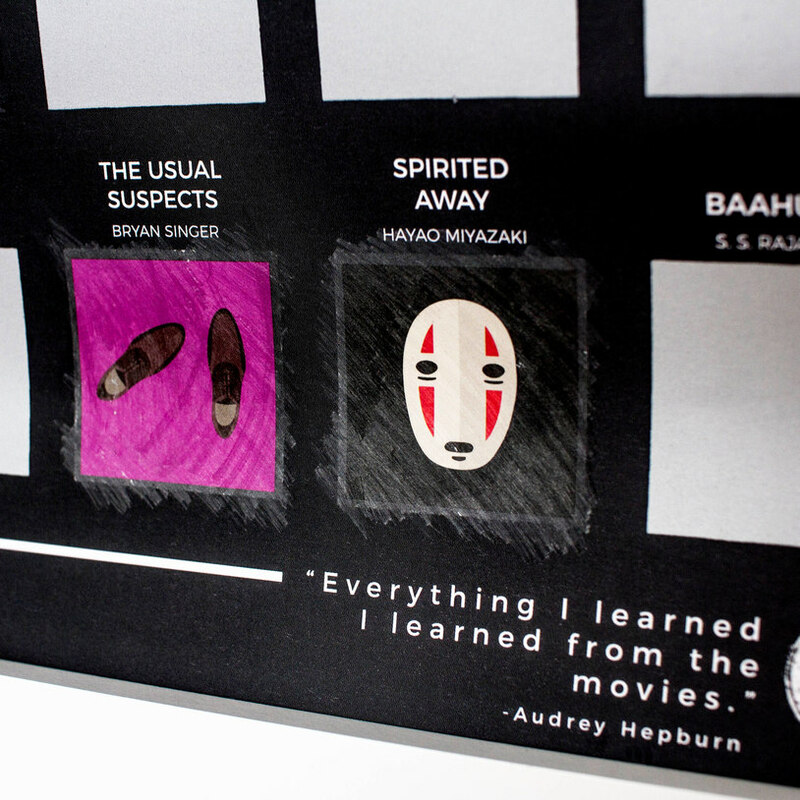 Jump right into the adventure of cinematography, the beauty of great shots, history telling, and epic soundtracks! And adventure you will never forget. 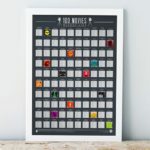 How many will you watch? 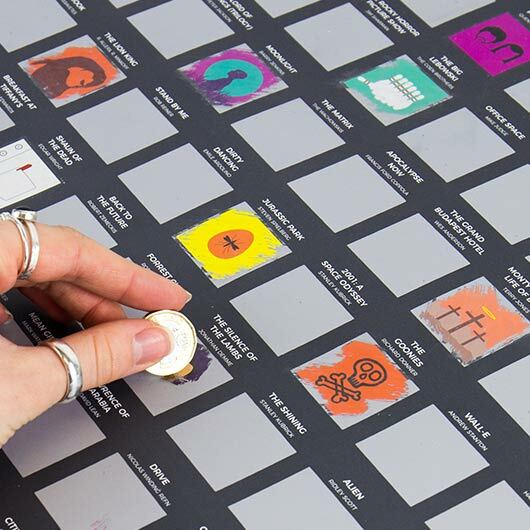 This beautiful poster allows you to scratch the title off as you watch the film, unveiling a powerful image related to the film.